The Lago Vista, Jonestown and Point Venture area is a beautiful lakeside community set on the North Shore of Lake Travis located minutes west of Cedar Park, Texas. 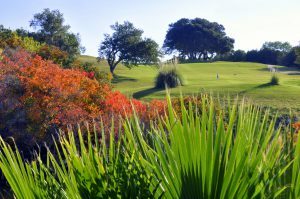 As part of the spectacular Texas Hill Country, our trade area residents enjoy an abundance of scenery, wildlife, lake living and a relaxing environment. In addition to our highly desired location and variety of businesses, the Lago Vista/Jonestown area also boasts highly acclaimed schools, a property owners association with several lakeside parks for Lago Vista use. We are also connected to the Cap Metro train via bus system for easy and hassle-free connection to downtown Austin. Below you will find more information about our spectacular area setting and all that it offers to those who live here and also visit. If you would like a print Chamber Guide mailed to your home, please send your address to: info@northlaketravischamber.org. To volunteer for chamber events, click here for the form. The City of Lago Vista Texas has a population of 6,268 and encompasses nearly 11 miles of gorgeous Lake Travis shoreline. Originally developed in the 1960’s as a lake resort it was incorporated in the early 1980’s as a mayor-city council government. Lago Vista is the gateway to the reknowned Balcones Canyonlands National Wildlife Refuge which is dedicated to the protection of the golden cheek warbler and other wildlife. Lago Vista is also home to the Rusty Allen Airport which is suited for private small aircraft. Lago Vista was the only GAC airport in the country to support such flights. The City of Lago Vista operates both golf courses and Sports Complex with features a public, family-style pool with changing rooms, lanes for laps and kiddie area with water slide and other water features. Lago Vista is also home to the exemplary Lago Vista ISD which opened a brand new state-of-the-area high school in the fall of 2014. For residents located in the Lago Vista Property Owners Association designated area, there are 9 private lakeside parks, swimming pool, activity center with fitness area, a 250 person capacity clubhouse and several marinas. Capital Area Metro complete website with MetroRail schedules into Austin — a perfect way to visit Austin Leave your car and parking hassles behind. Bus route is called Northwest Flex 214. For questions call 512-474-1200. Lago Vista ISD serves about 1450 students in Lago Vista, Point Venture and west side of Jonestown. The new high school opened in fall of 2013 and the former high school is now the middle school. The City of Jonestown has a population of 1,834 and lies just 3 miles east of Lago Vista. The community is situated on a peaceful long cove on Lake Travis that is accented by it’s public Jones Brothers Park with features 3 boat ramps, covered picnic pavilions, sand volleyball courts, tennis courts and more. The park is host to a variety of events including the Jonestown Cajun Cook-Off, Lakefest 5K Challenge, Swiftfest and more. Jonestown was founded in the 1930’s by Emmett A. Jones and his brother Warren and later was incorporated in the early 1980’s. Jonestown is also home to The Hollows – a luxury development which boasts a variety of cottages, villas and casitas available for vacation rentals along with marina with boat rentals, hiking and biking trails, and beach club with impressive resort style pool, restaurant and more. LCRA plays a variety of roles in Central Texas: delivering electricity, managing the water supply and environment of the lower Colorado River basin, developing water and wastewater utilities, providing public recreation areas, and supporting community and economic development. Their website also provides importan info regarding area weather and lake and river floods. Click here for more LCRA website. Local “Online Only” news and information source serving a growing community with reliable, accurate and timely news source for all things that matter to our North Lake Travis Community. Click here for free local news and sports.